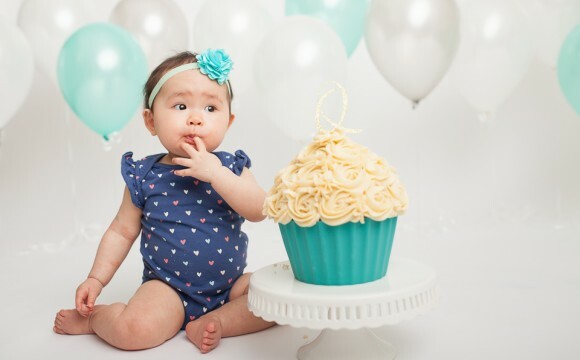 This past weekend this little cutie came and visited me for her cake smash photo session. I must admit it was hard to crack a smile out of her, but she had the most adorable expressions and she barely cried. When a baby doesn't cry I consider it a win! 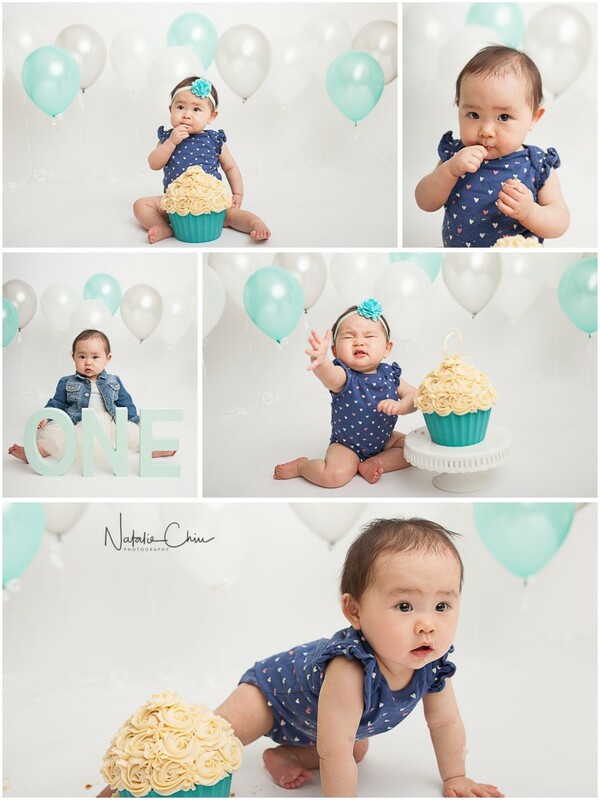 Her theme was a balloon one with grey, turquoise and white colours. I find matching colours is one of the most challenging things to do when creating a set whether it be on the cake or the decor. 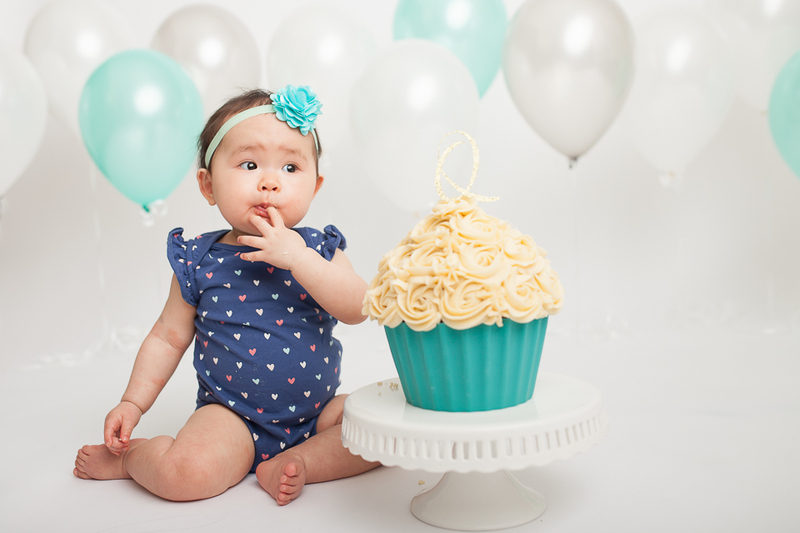 If you look and ask for turquoise balloons they are usually the darker turquoise ones. The ones I used were called mint green and they had a pearl sheen on them. I've done so many cake smashes and many clients request balloons so I'm wondering if it's worth it to invest in a helium tank? ?